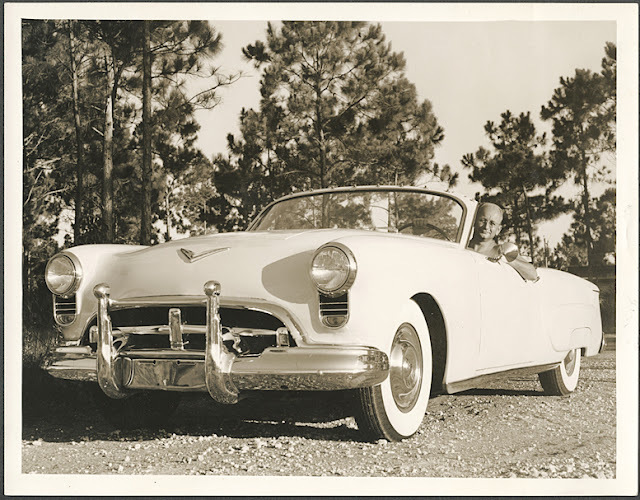 Kustomrama has the story on this postwar Olds 88 sports roadster built by Springfield, Illinois garage owner Wally Troy for the 3rd Annual Indianapolis Custom Auto Show held at the state fairgrounds on June 1, 1952, where it won a fine “Special Award for Outstanding Design” trophy. 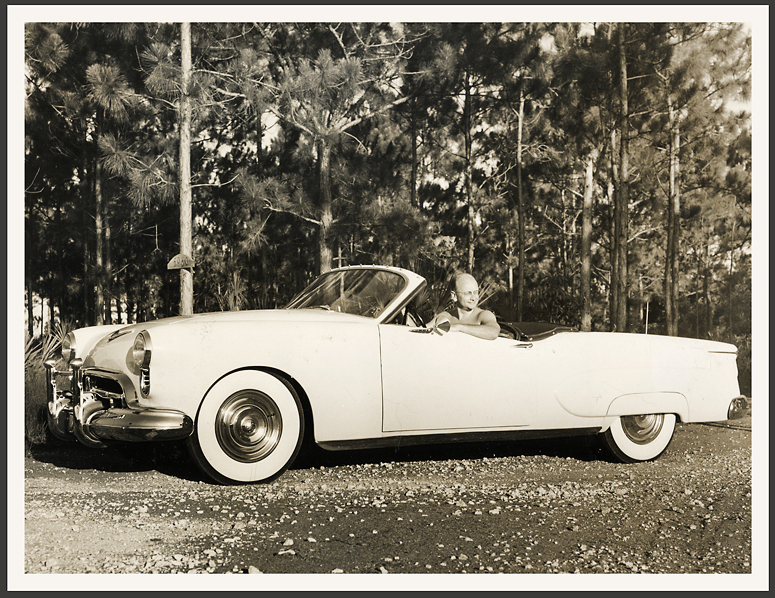 The Troy Special subsequently appeared in Hot Rod, Hop Up and Motor Trend and was named one of 1952's ten best customs in Trend Book 105 - Restyle Your Car. 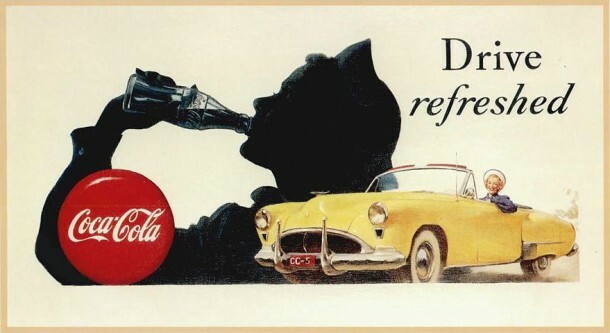 When I first saw the Gil Elvgren Coca-Cola ad, I assumed it referred to this car, but adbranch dates the ad at 1950, two years too soon. The fellow pictured does not appear to be builder Wally Troy, whose family has been searching for the car. From the design of the front and rear fenders, this is a 98, not an 88. My first car was a 1950 88, and this is bigger. Found photos from the 20th Century, when Paper was King. All images from Charlie Beesley collection unless otherwise attributed. A thousand thanks to Darrin's Car Photos.